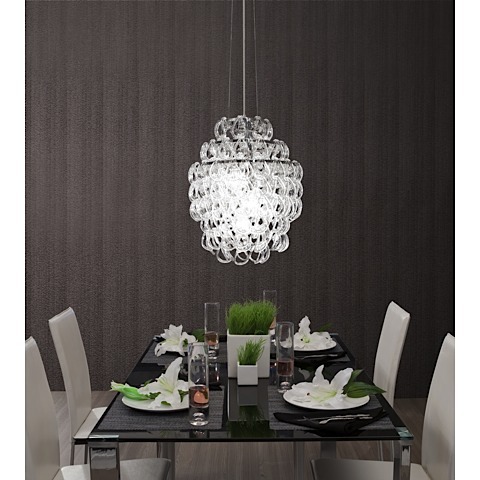 The Cascade Ceiling Lamp is a three (3) tiered, circular pendant lamp with a chromed steel frame. 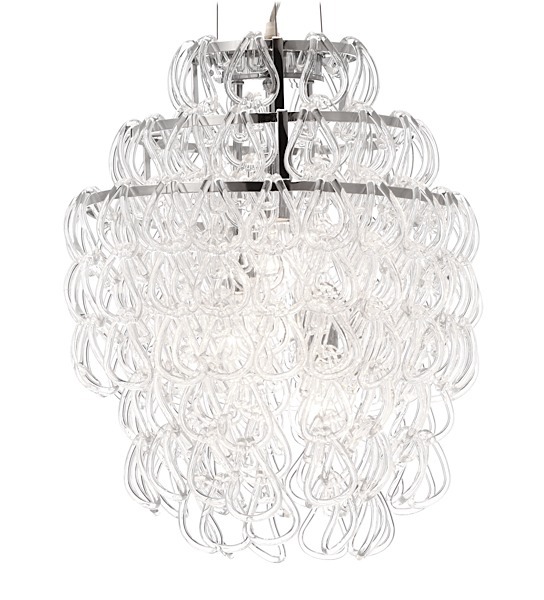 The glimmering shade is made of hooked glass chains that will dazzle when lit. 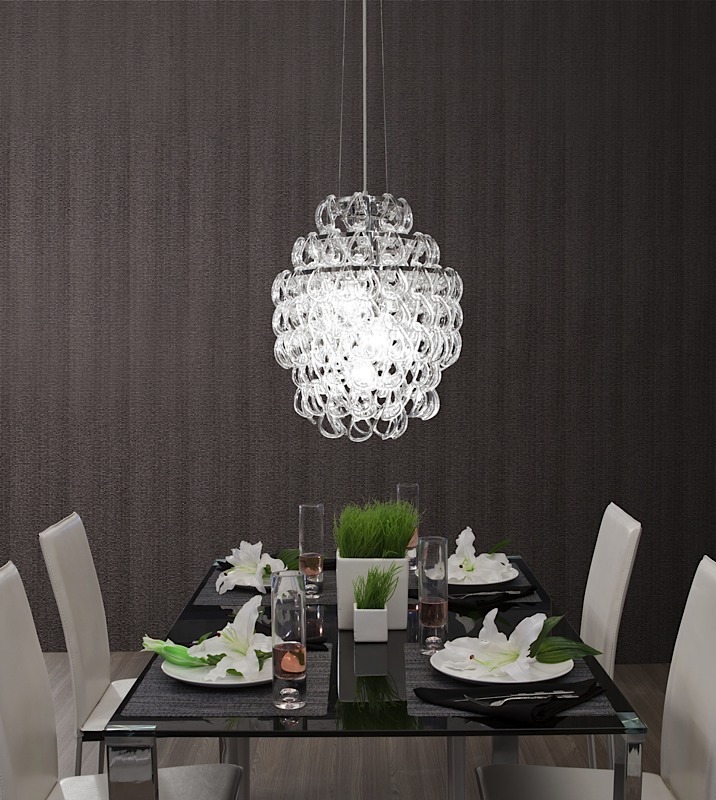 The fixture requires three (3) 60 watt (max) type A, clear, E26 bulbs which are included. The ceiling plate is chrome plated and is 5" in diameter. 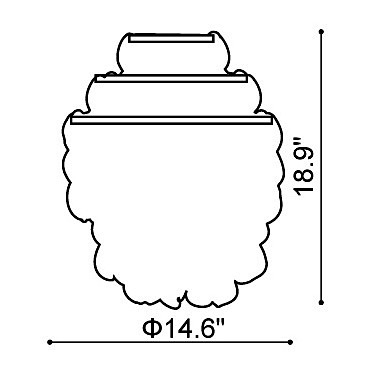 The cord is 73" and the lamp is UL approved.